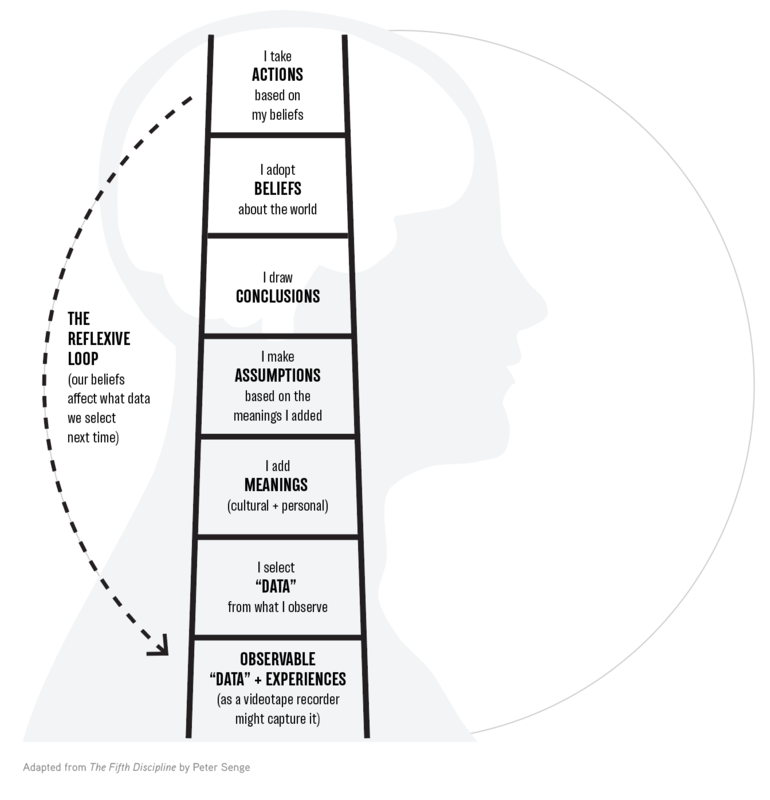 The Ladder of Inference is a theory describing the thinking process that people go through unconsciously, to get from a fact to a decision or action. The illustration below (adopted from Senge’s The Fifth Discipline) visualizes how we create mental models of our worlds and these mental models drive our decisions and actions. 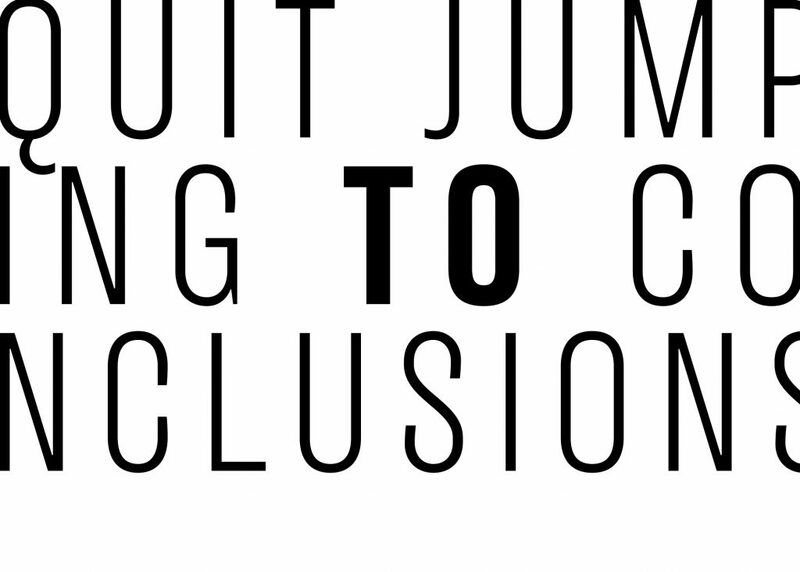 As designers, can we learn to suspend our assumptions that limit our ways of seeing, thinking and believing? Can we start from a place of accepted ignorance in order to be more revolutionary in our process? Senge, Peter M. The Fifth Discipline : the Art and Practice of the Learning Organization. New York :Doubleday/Currency, 1990. Print. Why Facebook and Robert’s Rules Fail the UMC. Christy Thomas. http://um-insight.net/perspectives/christy-thomas/why-facebook-and-robert%27s-rules-fail-the-umc/. February 4, 2014.